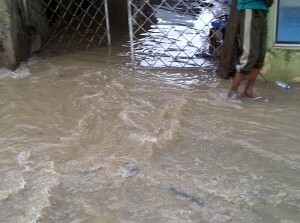 A number of houses and roads were submerged by the flood caused by the rain that lasted for several hours. 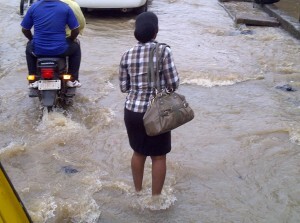 Sections of Lagos-Abeokuta Expressway were cut off on both sides by the flood, leading to a gridlock. 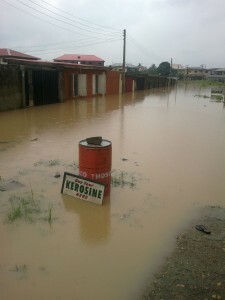 Many road users were forced to return home or seek alternative routes while others remained at the spot, waiting for the flood to abate. 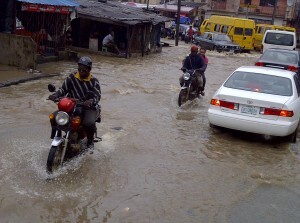 A portion of Murtala Muhammed International Airport Road by Mobil Filling Station was submerged, as were some areas in Mafoluku and Oshodi. 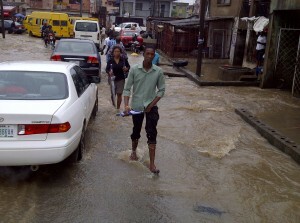 The Nigerian Meteorological Agency (NIMET) recently warned that residents in Lagos would soon experience a seven-day rainfall. 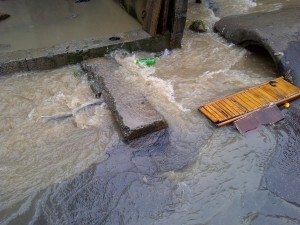 Lagos is working, Fashola is working, people are blocking the sewage systems. this is just the beginning o. The last picture is serious. Water has taken over the house. I hope their bed wasn't soacked.